Behold an “interactive exploration of famous murder houses in [your] neighborhoods. As the fan clicks on their house, the infamous American Horror Story house animates over their house, and then invites the user to explore the house. 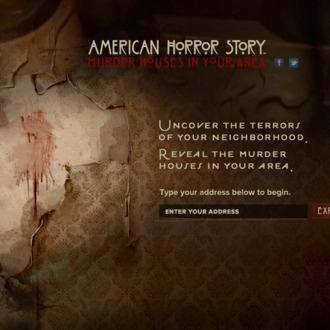 You can then explore the American Horror Story house or go back to discover other murder houses in their area.” Spooky!